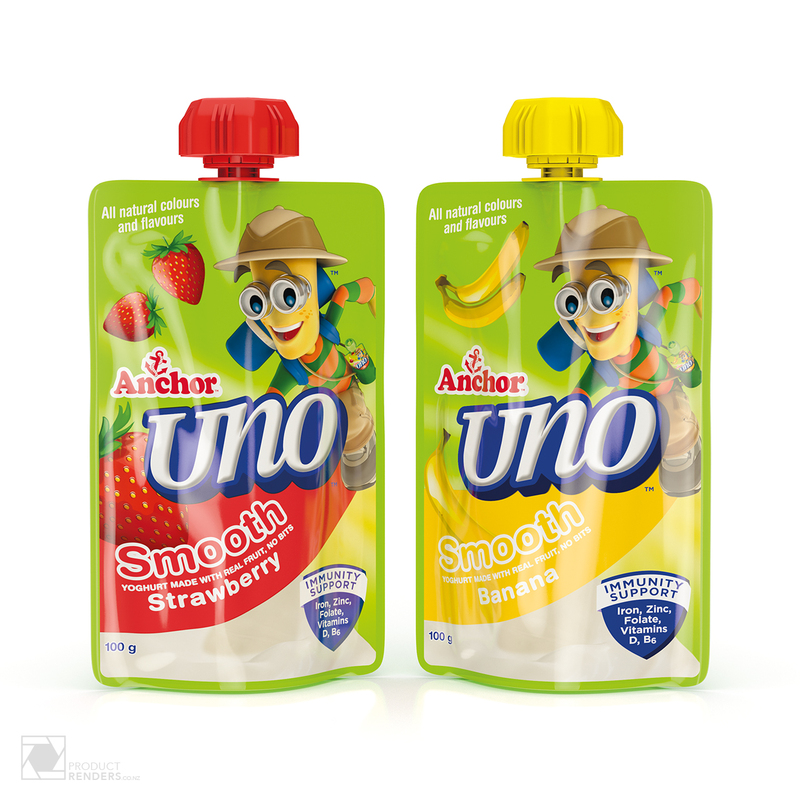 Anchor Uno Pouches are a yummy yoghurt hit with no bits, it’s specially formulated with iron, zinc, folate, and vitamin B6. 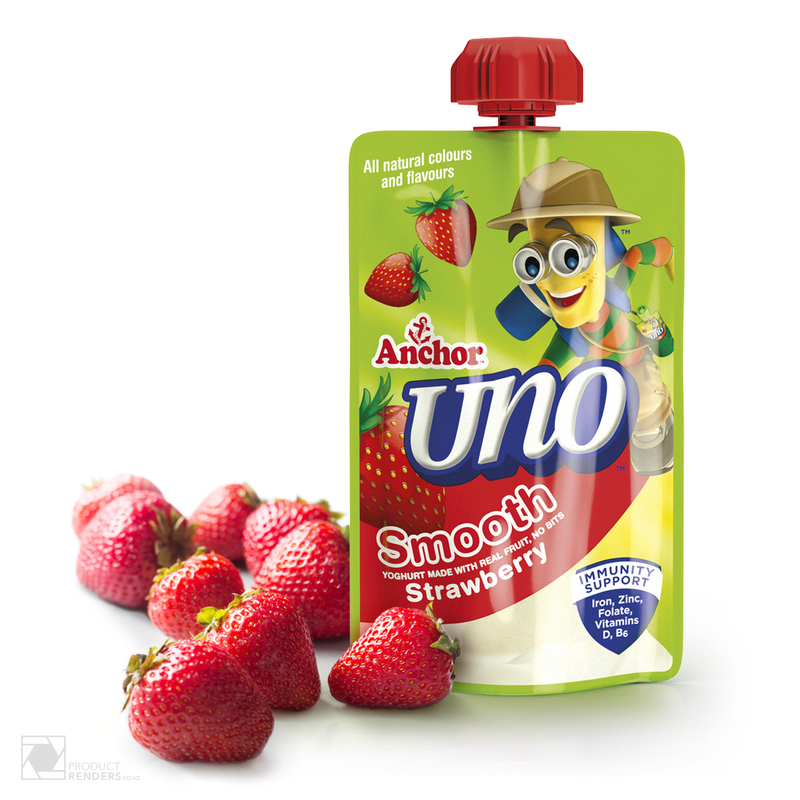 Anchor Uno yoghurt pouches have a smooth texture and are made with fruit puree so it’s free from any pulpy bits. It’s a perfect lunch-box filler or snack. The renders we created were designed by the great team at Dow Design, Auckland. We were asked to replicate the current look and feel of the other great flavours available. This was near impossible but after some perseverance and some talented artists working long into the night, we managed to get the result required. To see the full great range of products from Anchor Uno or to contact them directly, check out their website here.